Heat oven to 350°F. In large bowl, break up cookie dough; thoroughly work in flour. 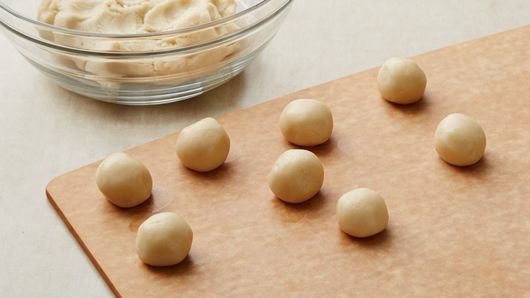 Divide dough into 36 (1-inch) smooth, crease-free balls. 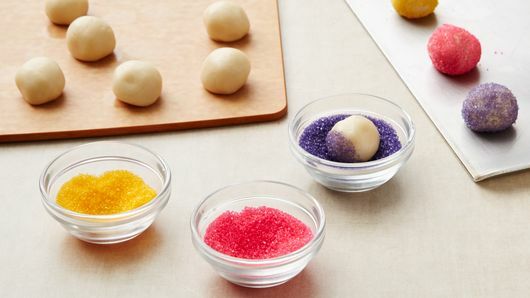 Place colored sugars in separate medium bowls. 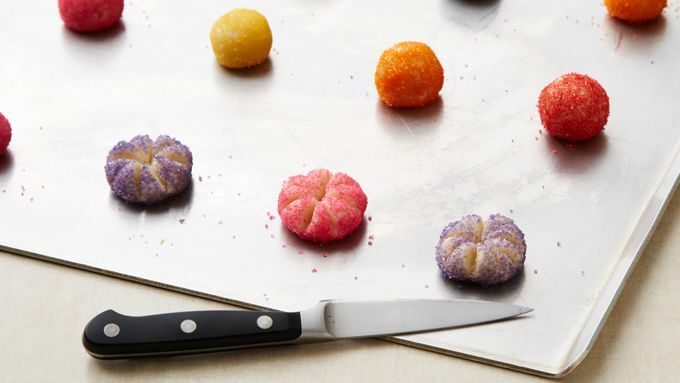 One at a time, gently drop the balls into the sugar, and toss until evenly coated. Place 2 inches apart on ungreased cookie sheets. 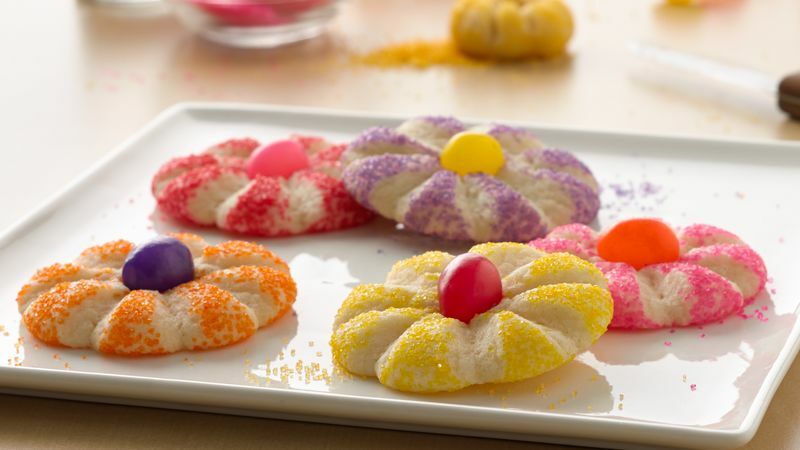 With thin sharp knife dipped into flour, cut each ball into 8 wedges, cutting three-fourths of the way down into ball but not through bottom. Gently indent center of each ball with thumb. Bake 10 to 14 minutes or until set and edges just begin to brown. 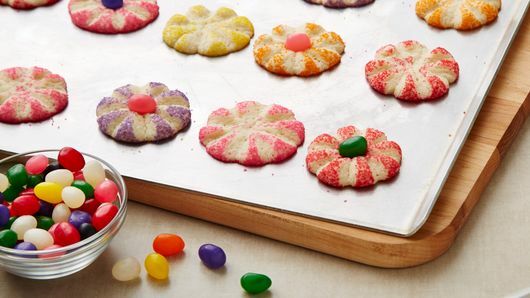 Immediately press 1 jelly bean in center of each cookie. Cool 1 minute; carefully remove from cookie sheets to cooling racks. Cool completely, about 10 minutes. Store in tightly covered container. For best results, work with half of the dough at a time, refrigerating it until needed. Use nature as your inspiration for these flowers. For example, black jelly beans make black-eyed Susans with yellow sugar or poppies with red sugar.